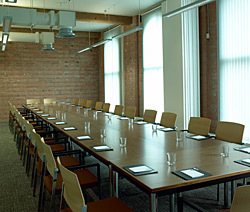 Atkins provides a selection meeting, conference and function rooms for a range of events and occasions. We are flexible in our arrangements and strive to meet your needs. Projectors, flip charts and white boards are available and are included in the cost of the room hire. Refreshments and buffets can also be provided. 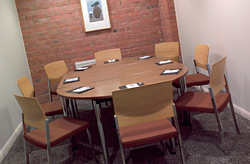 The smallest of our meeting rooms with a maximum capacity of 10 persons. Ideal for smaller business meetings in a professional setting. 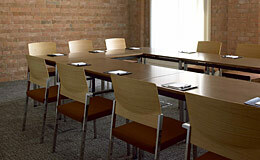 A more spacious meeting room with a capacity of 15 persons. The room also provides a projecting wall. This Suite has also been licensed for marriage ceremonies. The mirror twin of the Goddard Suite, also with a capacity of 15 persons. The room also has a projecting wall. This Suite has also been licensed for marriage ceremonies. With the sound-proof dividing wall being removed, the Goddard and Paget suites can be opened up to form one large meeting space. 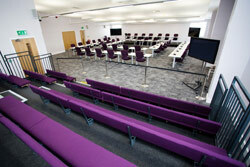 With a traditional board room set up the capacity is 30, however with theatre-style seating can hold 50 persons. It is also licensed for marriage ceremonies. Entry via a spiral staircase from reception, also with lift access. 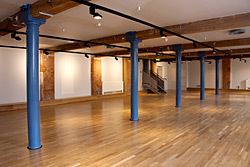 It is available for private functions, day/evening classes, larger conferences and Networking events. Maximum capacity 110 persons. The following facilities are available at our associated site at Hinckley Hub, Rugby Road, LE10 OFR (SAT NAV LE10 0PR). A large suite which seats up to 40 people in a range of seating styles with additional tiered seating for up to 50 people. The suite has two large televisions for presentations and a PA system.